Wat Phra That Hariphunchai is a Buddhist temple in Lamphun. The temple's origins date from the 11th century but the central stupa is thought to originate in the 9th century. 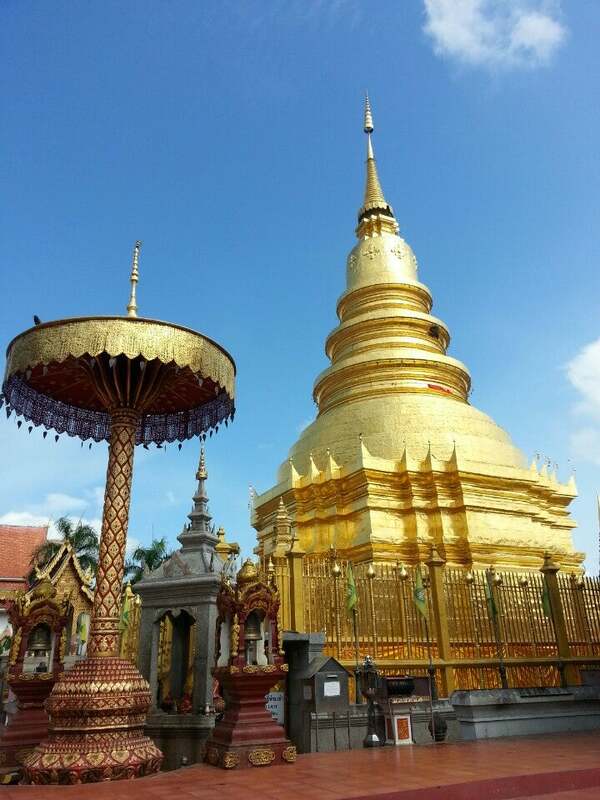 Why Wat Phra That Hariphunchai is special ? Wat Phra That Hariphunchai's earliest origins were in 897 when the then king of Hariphunchai is said to have built a stupa (now the central stupa) to house a hair of the Buddha. The present compound, founded by Hariphunchai King Athitayarai, dates from 1044. 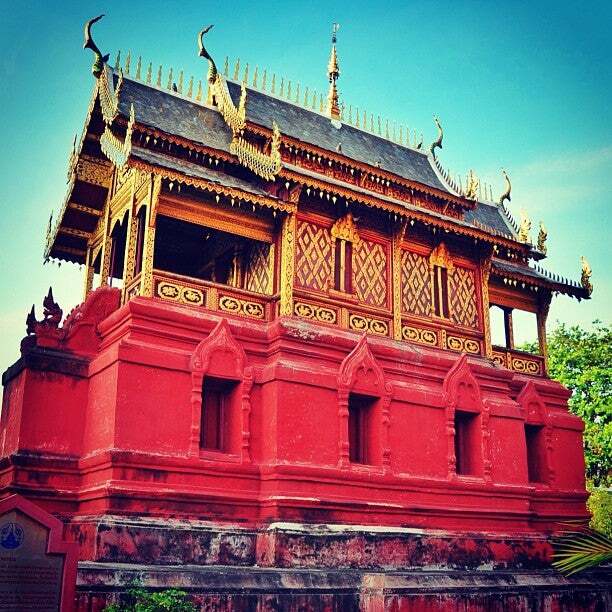 The temple was first rebuilt in 1443 by King Tilokaraja of Lanna kingdom Chiang Mai. The temple's pyramid-shaped Chedi Suwanna was built in 1418. In the 1930s temple renovations were made by the northern Thai monk Khru Ba Sriwichai. 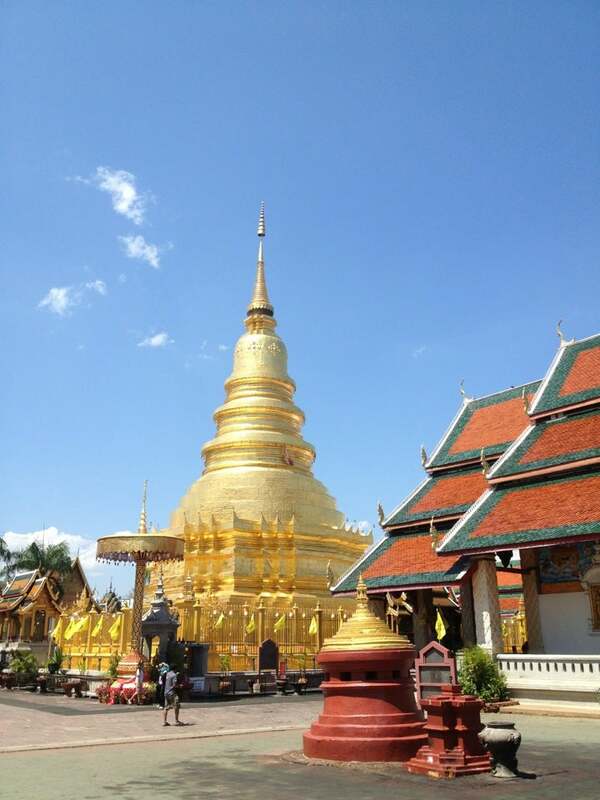 How to get to Wat Phra That Hariphunchai? The temple is located on the East end of Inthayongyot road (Highway 106), on the West bank of the Kuang river. 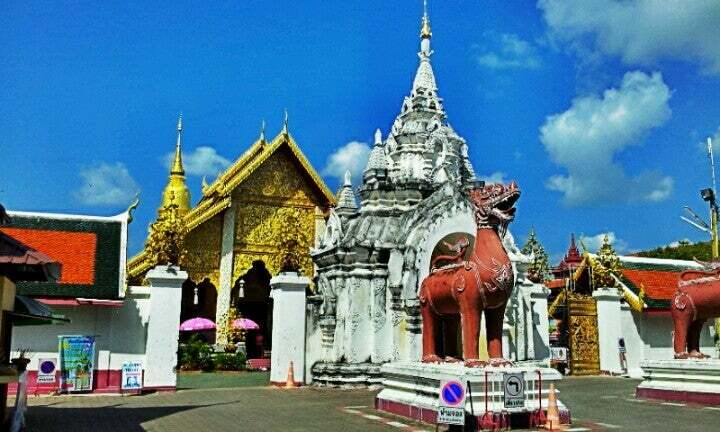 The town of Lamphun is about 30 kilometers South of Chiang Mai, which takes around 30 minutes to reach by car. There are a lot of food vendors and restaurants in the area to make sure you won't get starving. The main stupa requires shoes off area, the entire can be very hot to the soles of the feet even in the morning sun. On Friday nights, you will find Lamphun's walking street in front of the temple - this is quite interesting considering that there's not much to do at night. 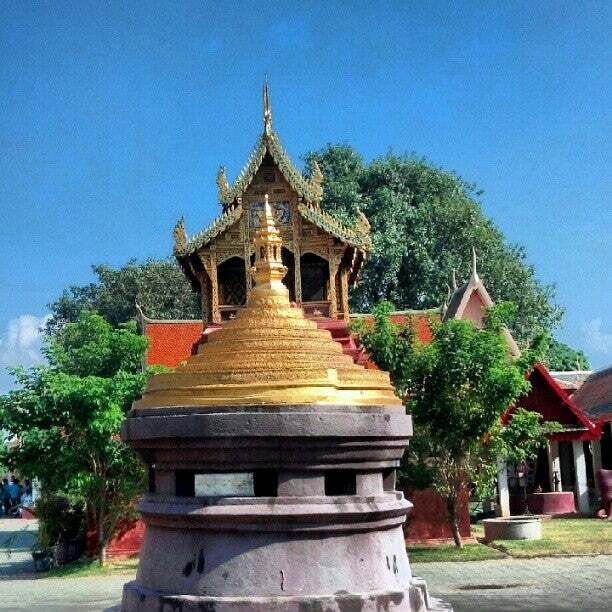 I was raised in Lamphun and I have seen the temple and pagoda before the renovation. I must say that the renovation of the landscape of the temple complex and the surrounding areas is very impressive. A lot of improvements has been seen even around the golden pagoda and the market-on-the-bridge (Kua Mung - just across the street along the river opposite to the temple's main gate). The area inside the temple is also neat and clean you can just walk around the temple comfortably. It is recommended that, as per the northern tradition, you bought a fresh banana leaf cone (20 baht containing fresh flowers, three incensed sticks and a candle) in a small booth located before the main entrance of the complex. After the entrance, you go to the main chapel to pay respect to the main Buddha statue then exit and go to the pagoda. In front of the pagoda, light the incensed sticks and candle then place a candle on the bar then hold the incensed sticks and the cone in the 'Wai' manner. Place the incensed sticks in a sand bowl and place the flower cone on a provided platform. Then you are done and free to walk around. As any local would be, I don't know much of the building in the complex hahaha... But another must visit is the market-on-the bridge (Kua Mung) where you can get local products (longan products, local silk and fabric). 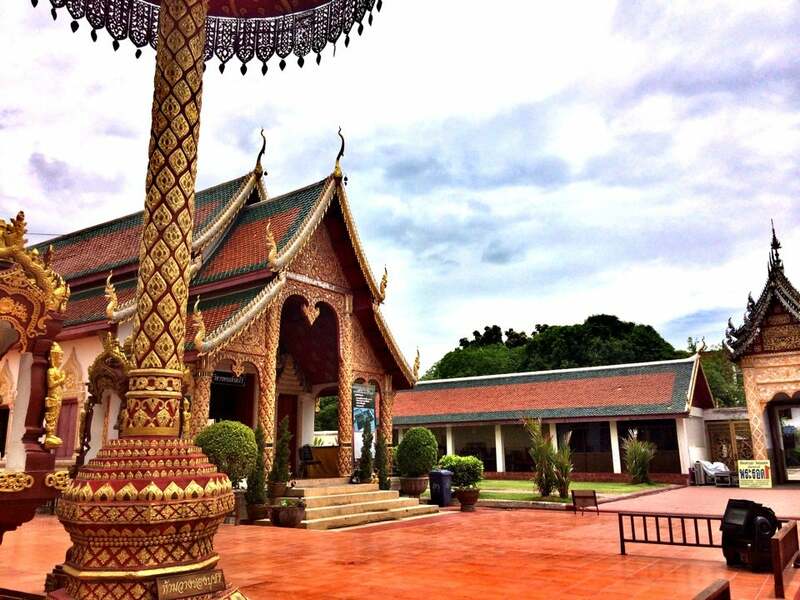 You cannot just miss visiting our Wat Prathat when you visit Lamphun. Architectural works include the ancient-style brick arch adorned with fine designs and the pair of sculptured lions at the door. There are also a square-shaped Chedi and a Khmer-style Buddha statue.